Pryze is the first provably fair sweepstakes platform built on Ethereum. New sweepstakes are added to the Pryze Mobile app frequently. Enter more and increase your chances to win! The Pryze Mobile app is powered by blockchain, making your entry information completely secure. Start by downloading the Pryze mobile app on iOS or Android and enter now! and filling in your information. The rest is easy. 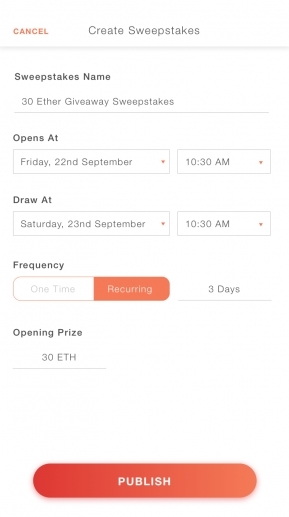 Pryze is creating the first sweepstakes automation protocol built on the Ethereum blockchain. We are developing our application and website to make it easy for new and veteran sweepstakes creators to easily run and maintain sweepstakes. Our aim is to bake compliance, security, and scalability into the Pryze protocol and therefore eliminate the need for costly administrative services and hosting platforms. We make all of this possible through the power of the Ethereum blockchain. Who doesn't like free things? Start by downloading our app on iOS or Android and see what prizes you could be winning today. Want to give away mouthwatering prizes of your own? We've already partnered with major companies to give away huge rewards! 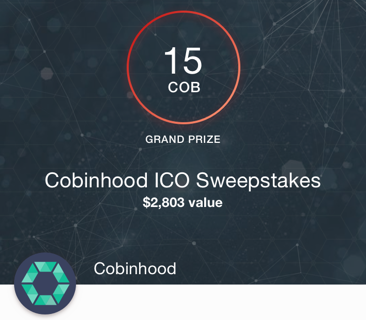 Get in touch to run your own blockchain-based sweepstakes today. Got 57 seconds? Watch our quick video to see how Pryze works. “The Pryze project is well positioned to take advantage of the features of the Ethereum platform and promises to make the fast-growing sweepstakes business significantly more transparent, secure, and efficient. Identifying the best use cases and building high-quality products around them will ultimately drive adoption of decentralizing technologies, which is our mission at ConsenSys. For this reason, ConsenSys is proud to support Pryze and the strong team behind it." Download the Pryze Mobile app today! 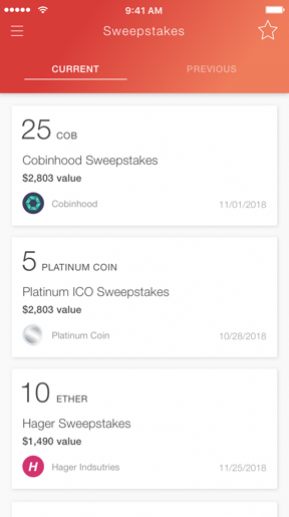 Don't miss out on some of the hottest sweepstakes available on blockchain today. Download our mobile app now! Don't be the last to find out! Join the fun today!